Learn how to complete and build an urban survival kit and increase your chances of survival whatever disaster comes your way! When you hear the words “survival situation,” what springs to mind? For most people, they immediately imagine some kind of emergency in the great outdoors: lost in the woods, or perhaps a camping trip gone wrong. Survival kits typically reflect this public fascination with wilderness survival. This was true even as far back as 1986 when John Wiseman released “The SAS Survival Handbook” – the book often credited with popularizing the idea of a survival kit. Wiseman’s readers were encouraged to stock up on fishing hooks, how to track animals and general campsite craft. Problem: None of this is useful to the average person living in an urban environment. Read on to find out how you can be prepared for any disastrous event in an urban setting. That’s not to say wilderness survival doesn’t have its place (of course, it does). However, the reality today is that 54 percent of the world’s population live in cities. In the United States, that figure is 80 percent. If you’re reading this, you’re probably doing so from a city. If you live in a city, that means that if disaster strikes, you’ll probably be (you guessed it) in a city. Moreover, an urban disaster isn’t quite as unlikely as you might think. Over 2017, we’ve seen hurricanes Irma and Harvey batter the east coast, while California’s wildfires roast the west. In between, NOAA recorded nearly 1,400 tornadoes nationwide in 2017, while Homeland Security says state governors have issued 140 emergency declarations across the country in the past year. Disasters happen, and it pays to be prepared. And not just prepared, but prepared to survive in your own environment. You probably don’t need bear spray in Kansas and can likely survive in Montana without a mosquito repellent. Likewise, an urban survival kit is very different from the so-called conventional wilderness kits of pop culture. Here, we’re going to look at the basics of how to construct your own urban survival kit. However, bear in mind this isn’t a cookie-cutter IKEA instruction manual. If your finished product comes out looking slightly different, then that means you’ve done something right. Just like with wilderness survival, an urban kit should be tailor-made to your specific needs and circumstances. Do what works for you. Having said that, for now, we’re going to try to stay as focused as possible on the essentials. Think of this as a base from which you might add or subtract items depending on your situation. An urban survival kit is a must with all kinds of natural and man-made emergencies which could inevitably occur near you. This urban survival guide, along with an urban survival essentials checklist, will help. Now, let’s get into it. Here are the 12 basic items you’ll need to make a simple urban survival kit, listed vaguely in order of importance. Yes, you’re going to need a bag. Traditionally, backpacks are preferred, though some people nowadays swear by shoulder bags. Don’t listen to hardliners on either side of this inconsequential debate, and opt for whatever you’re most comfortable with. Whatever you go for, make sure it’s durable but lightweight, and preferably waterproof. Ideally, you also want something that isn’t eye-catching. Please don’t use jungle camo. Arguably, the one tool you’ll get more use out of than any other is the flashlight. Try nonetheless to keep your flashlight compact. There are some decent flashlights listed here. Special Offer: Weird Little Flashlight Lasts for 30,000 Hours! During an emergency, you don’t want to have to rely on plastic. Keep a reasonable amount of cash in your urban survival kit bag, ideally with a mix of large and small denominations. Also, don’t forget to give the money its own waterproof bag (even if your kit itself is inside a larger waterproof pack). Here, just a standard first aid kit formula will work just fine. There’s a good survival first aid kit checklist of the basics here. In wilderness survival, the fixed blade reigns supreme, but in urban survival, you’re much better off with a more discrete folding blade. In an urban setting, your chunky Fallkniven A1 will probably cause more problems than it solves. Either this one or any of the knives listed here should be fine for most people, though, make sure you’re aware of any local laws surrounding the carrying of knives. A multi-tool also can be very helpful, but should never be a substitute for a dedicated knife. Have at least two; at least one can be a cheap lighter from the convenience store, while the other/s can be something more heavy-duty. 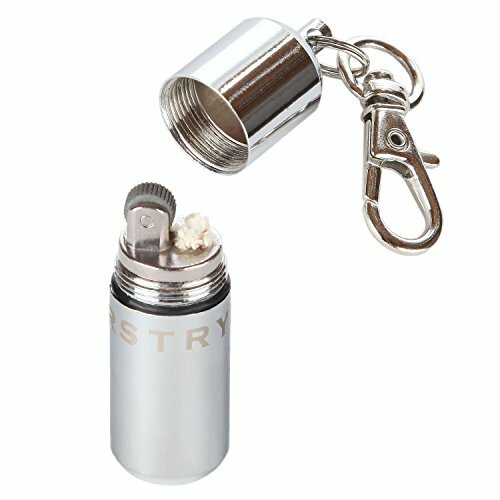 For the latter, a waterproof lighter like this one can do the trick. The all new Everstryke Pro has been completely redesigned, with new features like a replaceable flint, the wick last 10x longer and is even replaceable! Contains the flint and wick in one all-inclusive fire starting kit that fits conveniently in your pocket. Among survivalists, there’s sometimes a discussion between analog versus digital. Once again, it really doesn’t matter. Get something cheap but reliable, discreet yet easy to read. Personally, I like small notepads I can fit in the palm of my hand, though some people prefer slightly larger ones with more space per page. Most survivalists also opt for fine point markers because they can write on pretty much anything, though frankly, I can’t write anything with them. Hence, I like to keep both a ballpoint pen and a thin marker on me. Again, personal preference gets a lot of leeway here, so you do what works for you. As long as you can take notes when needed, you’re on the right track. When all else fails, the radio waves might be your last, best option for getting important news during a disaster. As always, go for something compact, reliable and (ideally) cheap. Some good options can be found here. Remember to pack spare batteries. The recommended amount of water you should have ready in a survival situation is usually put at around 11 liters (3 gallons). Water purification tablets are also a good idea. If you’re also including food, try to have enough on hand to hold out for 24 hours or so. As usual, simple and compact is usually your best choice. While many people love their smartphones, a cheap burner can be just fine. Parachute cords, hi-tech adhesives, zip ties, and the like are all in vogue right now. Throw these things in if you like, so long as you don’t forget to pack a trusty roll of duct tape. 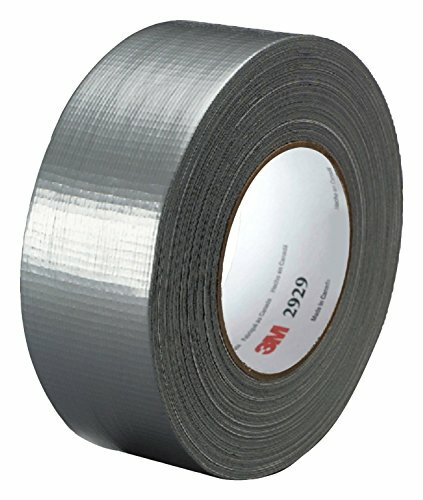 You can never go wrong with duct tape. Perhaps we can never stress enough how important an urban survival kit is. It can mean the difference for your survival and demise in an urban setting. Continue adding items you deem essential for urban survival as you go along building your urban survival kit. 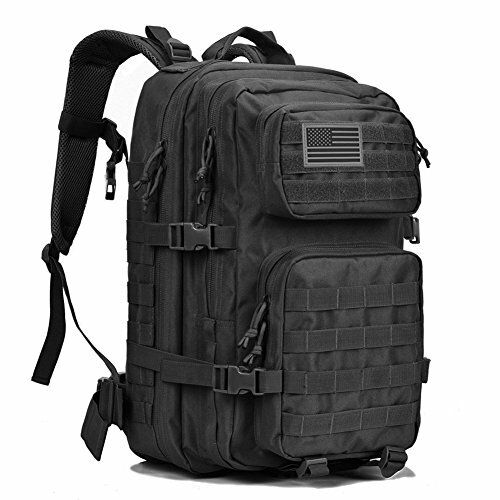 Pretty soon, you’ll build your ultimate survival kit bug out bag in time for a survival scenario! Do you have any other urban survival kit item you would like to add? Share them with us in the comments section below! Up Next: What is Urban Survival Syndrome? If you’re looking for useful survival gear that you can’t make at home, check out the Survival Life Store! Editor’s Note: This post was originally published on January 3, 2018, and has been updated for quality and relevancy. The only thing I would add is s multitool and some extra batteries. Excellent list – I have always carried a mini urban survial kit in my pockets pen, multi tool(s), folding knife, coins, tooth pick, breath spray (also for defense) comb, gel based lip balm (can be used for emergency oil with everything having multipe uses. I used to carry water purification tablets in any Kit I had, but now I have substituted water purification straws (or Bottles) as they are easier to use and I think they last longer. I’m not sure if they are as effective though. Any opinion on that? I would add a flat pry bar. If your in the city it will come in handy for prying open things such as doors, etc. at bay. Nothing feels better to boost spirits than warm dry feet.